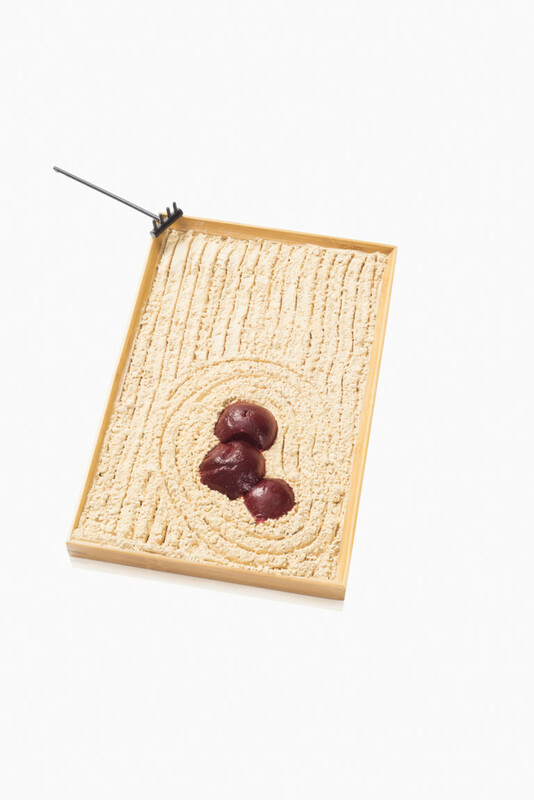 The photos depict still-life sceneries consisting of Chia Seeds, Maca Powder, Pomegranates, Beetroot, Ginger, Goji-Berries, Wheatgrass, Aloe Vera, Matcha-Powder, Acai-Berries, Quinoa Seeds, Avocados and other Superfoods. 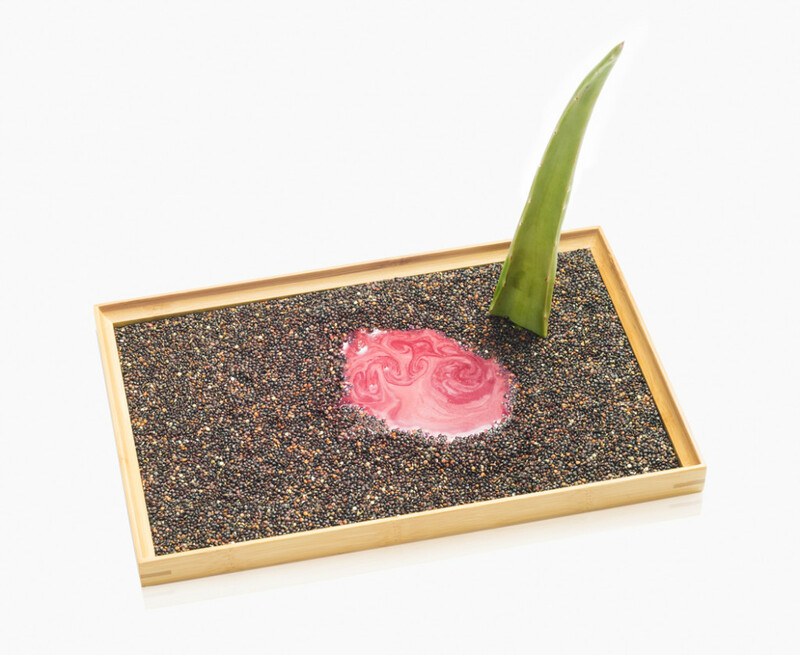 Two Wellness- & Lifestyle Trends of the last years, Superfoods & Zen, merge together and form a symbioses with a dark twist. The little „twist“ comes in by showing the false promises or subtle dangers connected with these lifestyle-trends. 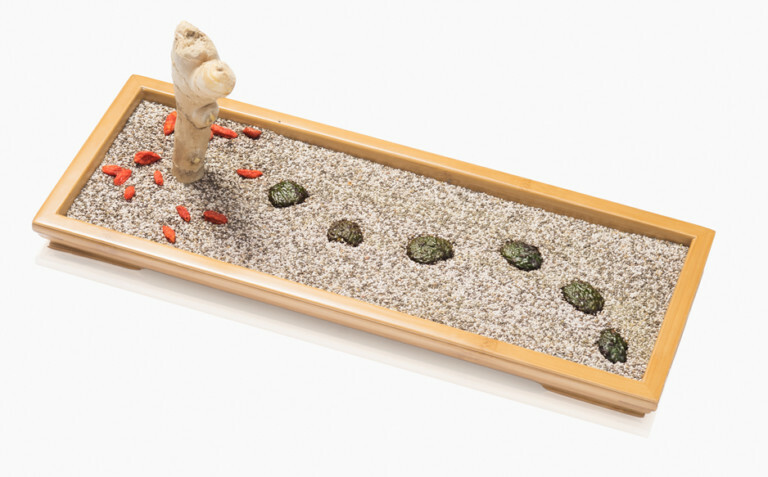 The one photograph shows a way made of avocados leading to a ginger tree where the fruits in form of Goji berries have already fallen from the tree and are too ripe to eat. 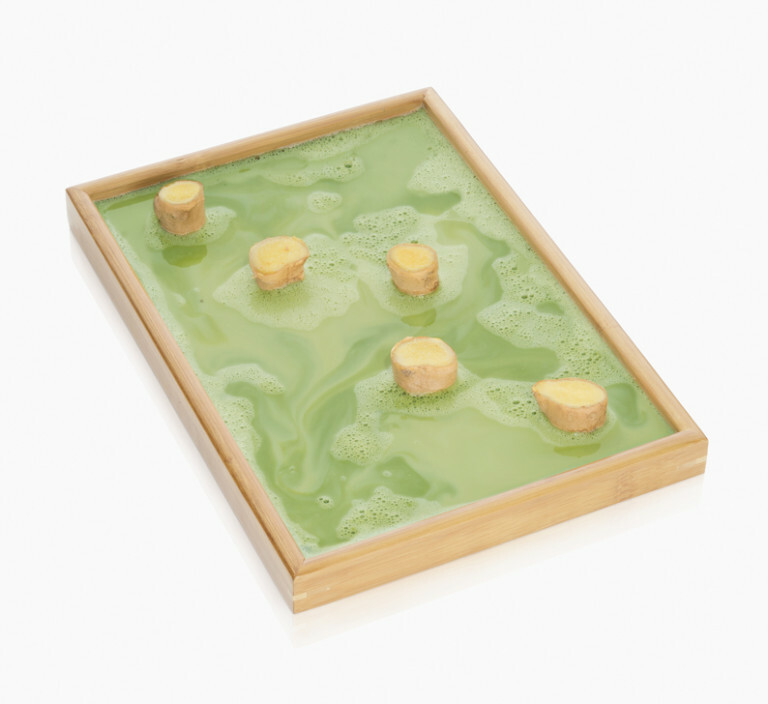 On another picture you`ll see uneven stones (again: made from ginger) in a matcha-pond. The green matcha-water with its bubbles looks a bit like acid. Another pic shows a red (danger!) 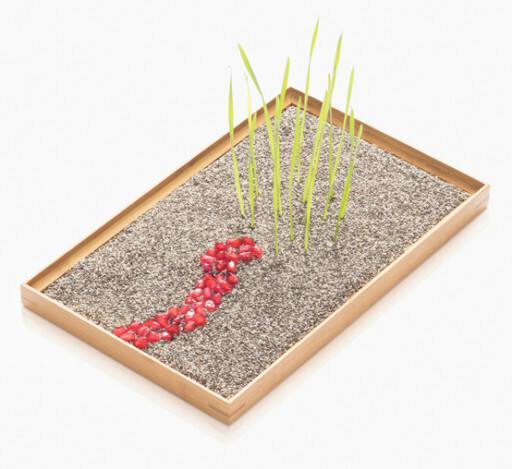 pomegranate path which leads into a little forest made of wheatgrass. There`s only one way in but no way out. And so on.